The Programme for Emergency Assistance to Poor and Vulnerable Community in Ethnic Minority Areas and Yangon has been formulated building on experiences of the recently completed Government of Japan funded project The Programme for Development and Rehabilitation of Communities in Ethnic Minority Areas of Myanmar by qualitatively enhancing it with specific focus on housing and access to basic services, improving livelihood opportunities and empowerment of youth, men and women. The project has two main components. 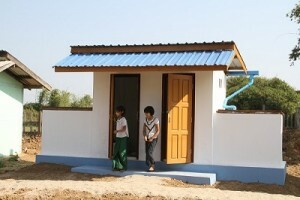 Component one is emergency support through housing construction to the poor and vulnerable communities living in squatter condition/homeless in three of most impoverish townships in Yangon which are affected by repeated floods and inhabiting in dilapidated housing and in deplorable living conditions. Yangon which homes to 5.8 million people, suffers from a multitude of natural hazards such as floods, cyclones and storm surge, fire, and earthquakes that have adversely affected a large number of poor and vulnerable communities. There are approximately 40,000 households living in squatter conditions which housing represents the worst. People living in these houses are frequently affected by floods exposing specially children into health hazards. 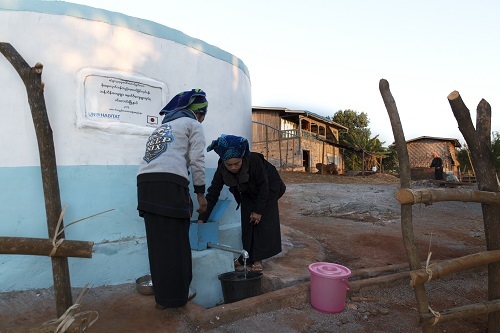 Component two is emergency support to poor and vulnerable communities living in conflict and disaster prone villages of Mansi Township (Kachin State) and Pekkon Township (Shan State) to restore their normal life through the improvement of community infrastructure. Communities in Myanmar have been undergoing a series of socio economic setbacks due to conflicts, repeated natural disasters and extreme weather conditions. Over half a million people have been displaced due to conflict alone as of September 2014. The overall objective of “The Programme for Emergency Assistance to Poor and Vulnerable Community in Ethnic Minority Areas and Yangon” is helping Myanmar’s poor and vulnerable communities affected by conflicts and natural disasters to address the emergency needs to restore their normal life and to sustainably improve quality of life. The project has specific objective of assisting vulnerable communities, mostly women and children, to respond to unexpected disaster conditions through all project activities, promoting active participation of women, immediate recovery of vulnerable communities’ economic and social actions and providing safer and healthy environment for children. Empowering of women to take part in decision making in relation to project planning, implementing and monitoring. Livelihood opportunities through employment-intensive improved; the employment-intensive component will contribute to the poorest households to start up sustainable livelihood by injecting cash into local communities. Capacity building will impact in the process of community development as well in ensuring that communities will fully engage with future improvement activities for their communities; capacity building will also provide better job opportunities.